Lang Kei Motel provided us with free coupons for McDonalds breakfast which was just nearby, within 5 to 10 mins walking distance. It was a good change as we had buffet style breakfast everyday since we arrived in Taiwan. 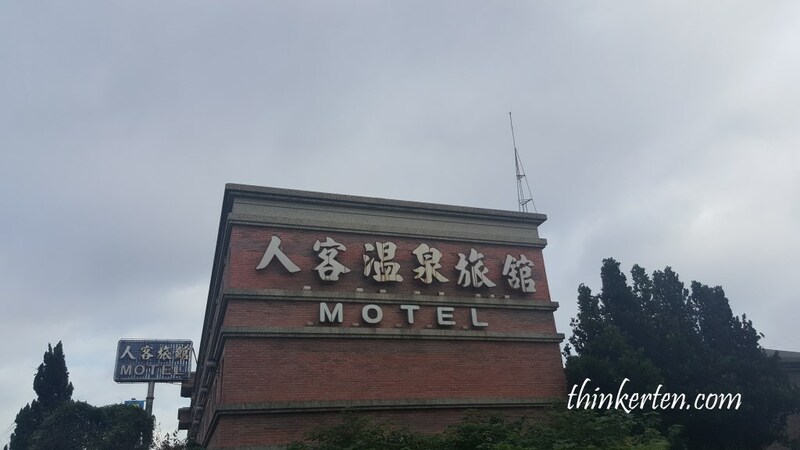 To be frank, I was really glad my last stay is in Lang Kei motel. This motel is like a small apartment and there is an individual car porch below each apartment. The apartment is also very spacious, 2 rooms and each room provided a double bed. There is also a medium size jacuzzi spa inside the apartment. What I like it most was the car porch is at the bottom of the apartment and this allowed us to move our thing up easily to the room. We bought many stuffs and all needed to repack into the big luggages before we fly back this afternoon. Walking to McDonald to get our breakfast. Cars were still not many as it was still very early 7 am. 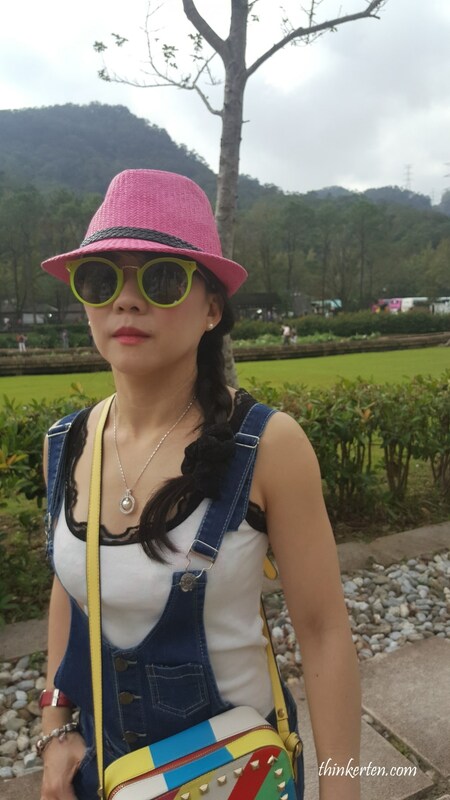 We drove for less than half an hour to Cihu at Daxi District in Taoyuan. 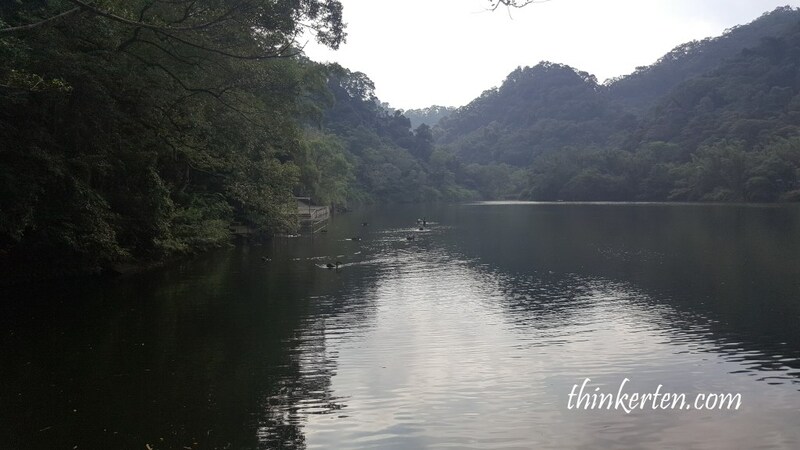 Cihu literally means “benevolent lake”, Chiang Kai-Shek named it Cihu because the scenery reminded him of his benevolent mother and his home town, Fenghua/奉化 in China. Chiang loved the lake so much that he had an official residence built nearby to architecturally resemble the houses in Fenghua. 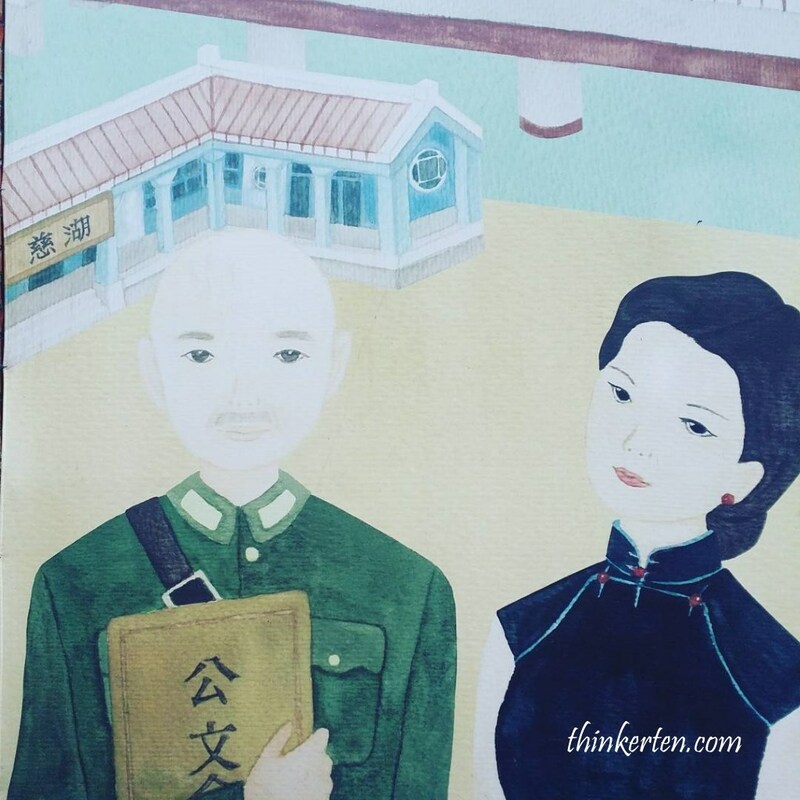 A cute portrait of Chiang Kai-Shek and his wife Soong Mei Ling was seen painted outside a bubble tea shop in Cihu. This is a sculptural park which collected Chiang Kai-Shek’s statues from the entire island! 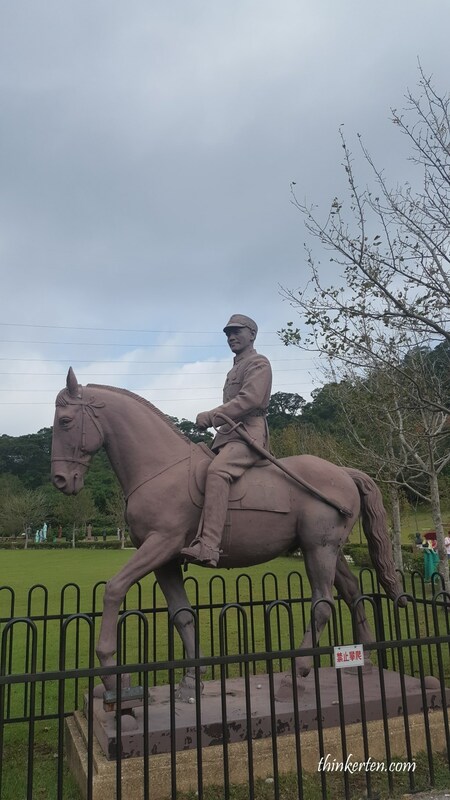 There are so many statues of Chiang in Cihu and one would wonder why there were so many? Most of the Chiang’s statues were being moved here from public places such as school and government building. 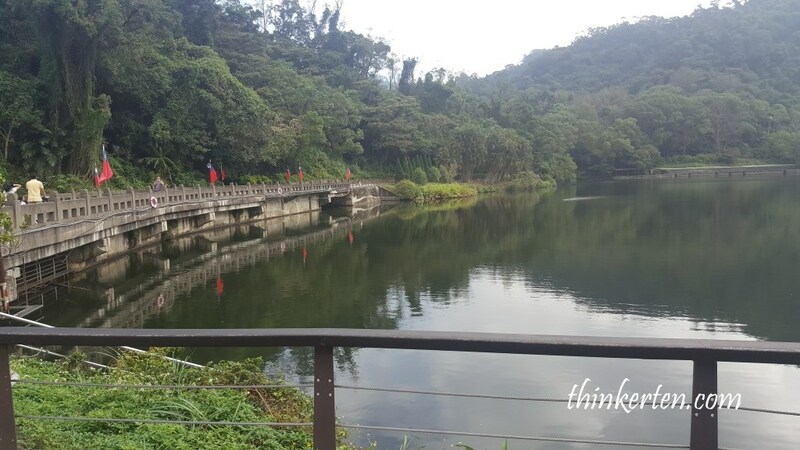 The opposition political party wanted to removed them so much but do not know where to throw so they moved all the statues to Cihu and now it became a tourist spot in Daxi, Taoyuan. This place is very serene and nice to stroll around and take pictures. It was a quiet morning because we arrived at around 8 plus, still very early. China tourists started to flood in this place before we left at around 10am. Chiang Kai-Shek mausoleum is referred to as his temporary resting place because the president wished to be buried in Fenghua, where he was born. Chiang has never been buried and his body was being preserved and still stayed in Cihu. I saw many China Tourists in big tour buses coming to visit Cihu, may be paying their respect to Chiang. 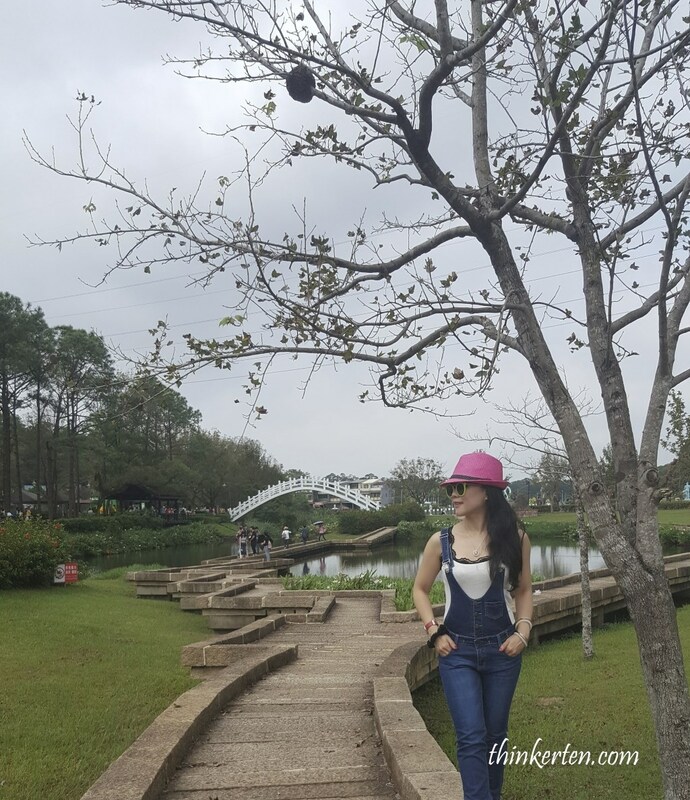 The grass in Cihu is well maintained and there is also smooth pathway to walk. Beautiful place! We were on our way to return our car rental. 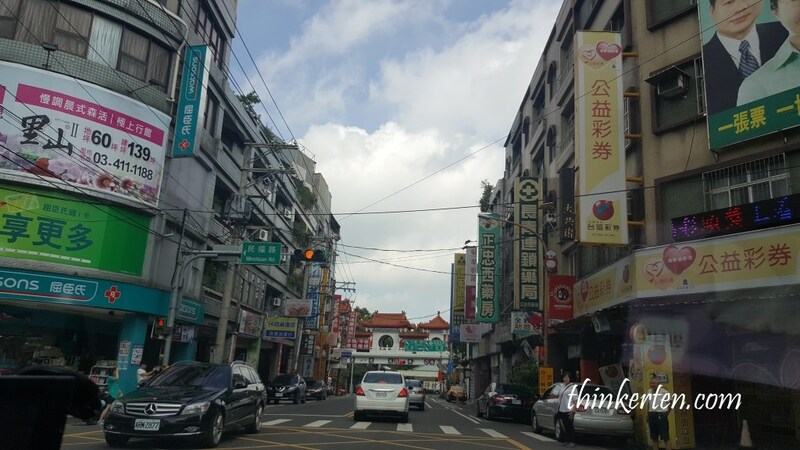 The car rental counter is located at Taiwan High Speed Rail station, 10 mins drive to Taoyuan Airport. The car rental staff sent us to the airport after we returned the car. Taking a picture after I checked in at the Taoyuan Airport. 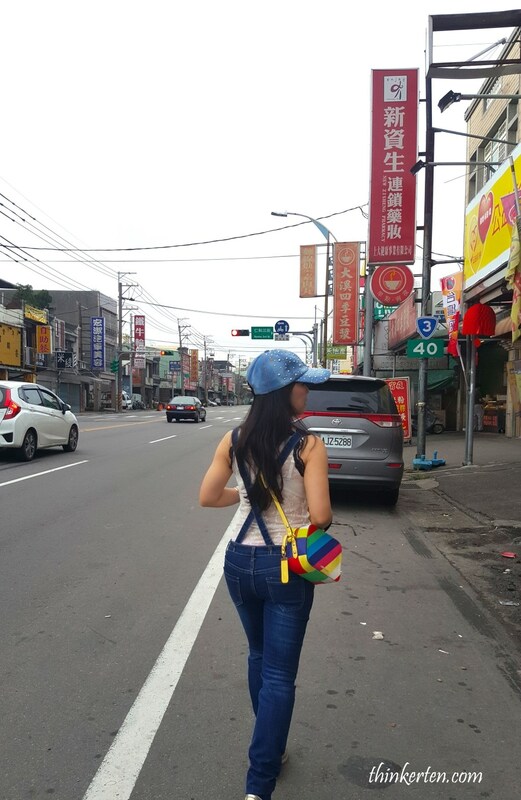 Bye bye Taiwan.